Bryan Smith Homes is a Dallas based home builder who has designed and built some of the finest residences in North Texas over the last 37 years. Our portfolio includes new homes and residential developments in; Dallas, Preston Hollow, Plano, Frisco, Las Colinas, Irving, South Lake, Grapevine, Keller, Grand Prairie, and Richland Chambers Lake. Everyone remembers the first house they moved in – whether it was as a child with your family, as a young professional, or with your spouse embarking on a new life together – because your home is a part of your identity. It's a place where memories are made. At Parkhill Homes, we understand the importance of that link and strive to make sure that you're incredibly happy with your next home and its value as a long-term investment. We do more than just build, find, or sell your home. When you become a client of ours, we take care of you like you are a part of our family. We treat you the way we want to be treated, working with you closely to see your dreams of a warm and inviting home come true. 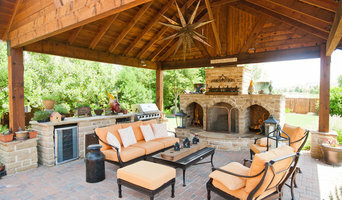 We are a design and build company specializing in Outdoor Entertainment areas with outdoor kitchens, fireplaces, patio covers, arbors, stone patios & concrete overlay patios, water features, landscaping and outdoor lighting. We can also enhance the front yard with stone flower bed borders, custom landscaping and lighting. Custom, Unique, Exclusive; they have become nothing more than commonplace. When words lose their meaning behind familiar results and fleeting trends, one searches for a truly uncommon experience. Our process, curated from a diverse history, appreciation for smart design, timeless architecture and high quality materials delivers uncommon results from even the most common asks. We are Thomas Development + Construction. Urban Design+Remodel specializes in coaching and communicating with clients during the entire renovation process from forming the design team through the final move-in touches. We focus on the budgeting process and assist clients in prioritization and the pros and cons of each option. Our projects range from Modern, Mid-Century Modern to Transitional design. In addition to offering a full-range of construction services, we offer sustainable and energy-wise solutions and set ourselves apart with extraordinary customer service. Since 1989, Designs for Living has specialized in custom remodeling and new-home construction. 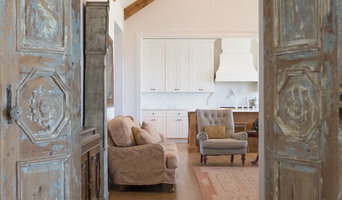 Under the skilled leadership of owner David Goodroe , the company has completed every facet of the home design and construction business—from the redesign of single rooms to the full-scale remodel of entire homes. David and his team have experience as diversified as the company’s client base, as every project is custom-tailored to the homeowner’s specifications. A team of expert craftsmen and skilled project managers keep projects on schedule and within budget, all in an atmosphere of honesty, integrity and the highest ethical standards in the business. Whether you are remodeling an existing home or building a new home, Designs for Living works to complete each job to the client's satisfaction with designs that reflect the homeowner's personalized style, vision and dreams. 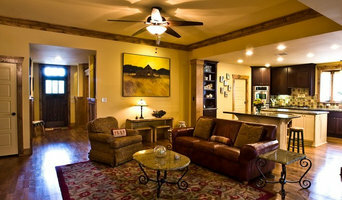 Clarity Homes was started with one goal in mind in 1998: to provide affordable luxury homes in DFW. Since its inception, the multi-generational family-owned company has remained true to providing its clients with what they want: high-end design at an affordable price. Based in Fort Worth as a premier new home builder, Clarity Homes specializes in effect and efficient design. The expert team at Clarity Homes, driven by design, is committed to building homes that speak to the unique style of each client-simplifying their lives.